hotels and restaurants, but these two places are so good that we keep returning. Actually, they have not that much in common apart from the exterior architecture and the modern interior, but that is not really the point. It is just that these two spots are the only constants when it comes to our family’s London travel adventures. 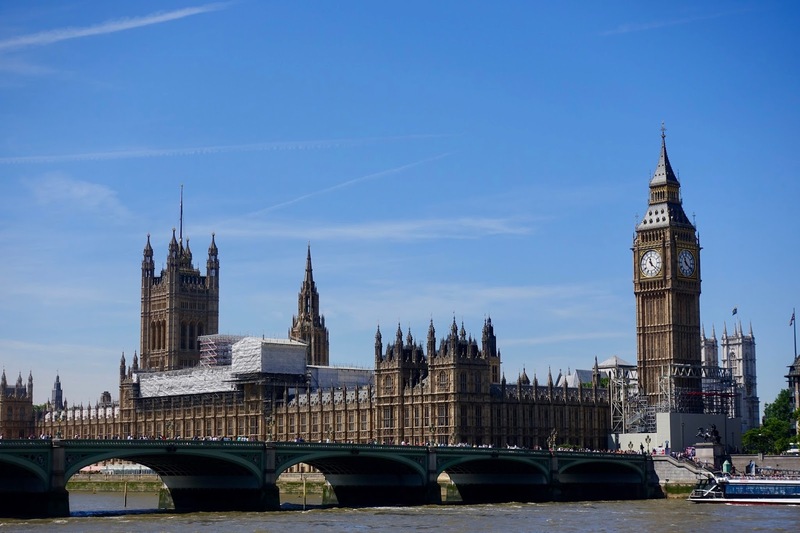 In my view, southwest London is one of the best choices for staying as a visitor. 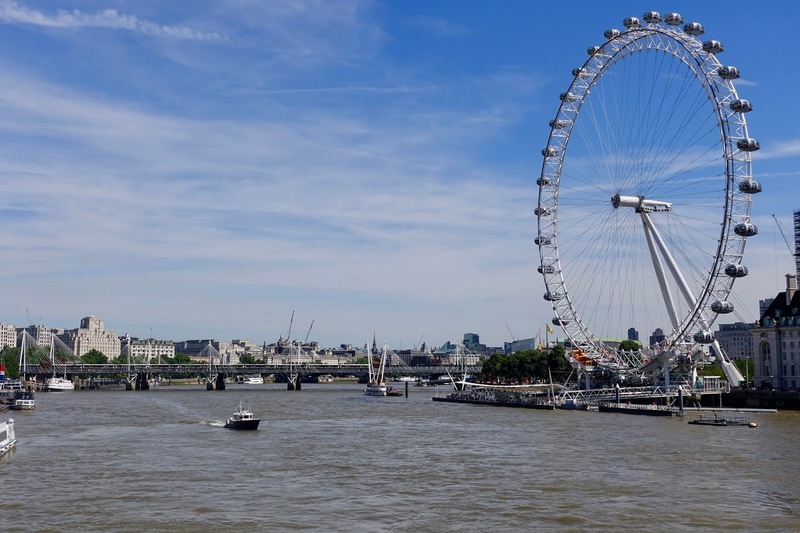 You are near to many attractions but away from the hustle and bustle of the West End. The Halkin’s location is especially favorable. It is set on a quiet street of handsome Georgian properties in the heart of residential Belgravia. It is five minutes away from the Hyde Park and from the Hyde Park Corner tube station. It is amazing how the scene changes when going from the tube’s exit to the hotel, from buzzing city center to quiet, residential surroundings! And imagine it is easy to walk past without even noticing it because it is such a discreet place, more to it in the next section. A funny detail, where The Halkin is now was once a car park! As just mentioned, The Halkin is not a hotel where luxury is showcased but it is all about understated classiness! In contrast to its Georgian exterior its interior is sleek and contemporary combining Asian influences with a timeless Milanese design. Some may call it minimalistic, but it has too much warmth for this. Neutral colors are combined with a lot of woodwork. What is very special are the corridors. They are curved and lined with black corrugated wood paneling, you have to look closely to find out where the rooms are. Another eye-catching element is the dining-room, and here the ceiling. It is adorned with hundreds of test tubes filled with spices, which is rather a unique feature. When it comes to service, it is always present when needed but otherwise unobtrusive. Upon arrival, you are treated to a scented hot towel and are invited to a drink of your choice in the bar or your room, complete with some tasty nibbles, a nice touch. When we arrived at the Halkin, we were welcomed as returning guests. Everybody around including the concierge was informed that we are regulars. Also several times during our stay the hotel director, who was new to this position, asked after our wellbeing. Behind a Georgian façade you find five floors of premium Asian-Italian design. The hotel was opened in 1991 as first property of the COMO Hotels and Resorts group (Metropolitan on Park Lane is a sister hotel). And after all these years the hotel is still a beauty! The Halkin really has stood the test of time, I suppose that has to do with refreshing the furnishings on a regular basis. 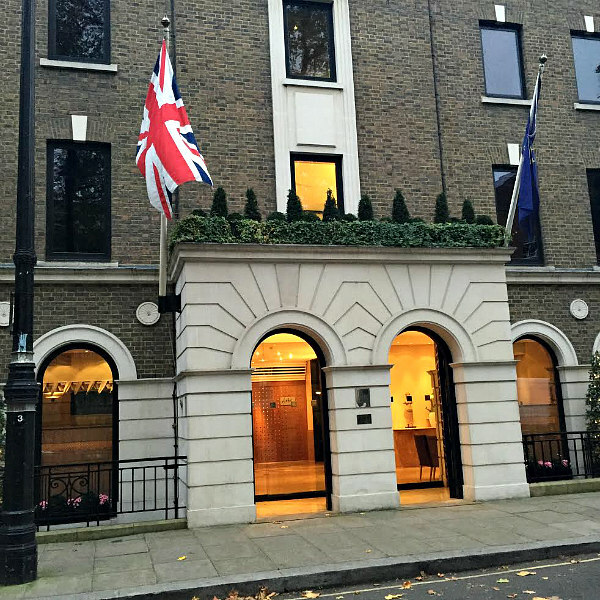 When it was opened 25 years ago, it was one of the first luxury boutique hotels in Britain’s capital. All 41 rooms are very spacious by London’s standards (rooms: 27 – 45 sqm, suites: 47 – 64 sqm), are decorated in cream tones combined with woodwork, have tall double-glazed windows and large comfortable beds. 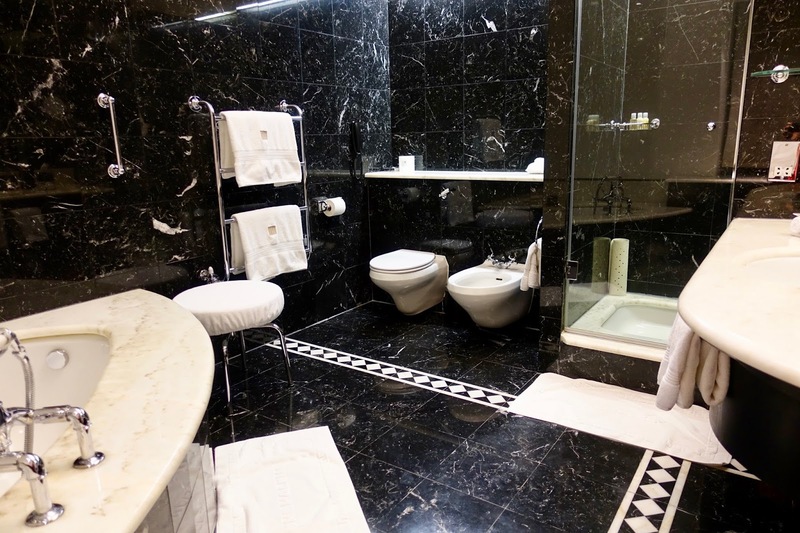 The bathrooms are all marble with huge bathtubs and often also with separate shower. The fifth-floor Belgravia Suite we had is especially charming, it has a ship like feeling featuring a high, barrel-vaulted ceiling. There is a spacious lounge area and a huge bathroom and all comes with plenty of natural light. A particularly nice asset is the rear garden, which can be accessed upon request. There is a small fitness room but no spa. However, you can use the one at the nearby sister hotel of COMO Metropolitan. On site you also find a renowned Michelin starred restaurant named Ametsa with Arzak Instruction. It is an offshoot of the famous three stars restaurant Arzak in San Sebastian/Spain offering Basque cuisine. As we did not dine here, I cannot comment on this. 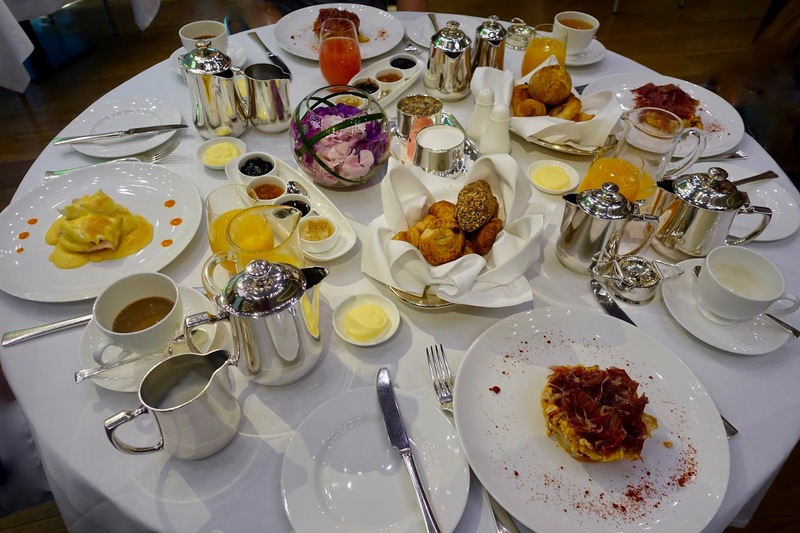 However, we had breakfast included in our arrangement and this was always a feast for all the senses. There is no buffet, everything is served by kind and attentive staff. After some cereals, berries or whatever you can choose from an array of hot items, my favorite dish was broken eggs and Iberico ham, delicious! You could also help yourself from a basket with freshly baked bread and pastries. It is easily one of the best breakfasts I have ever had. In terms of rates, staying at the Halkin is certainly not inexpensive, it is after all lodging in the luxury segment. But considering the hotel classification, the facilities including their condition, the spacious rooms and the favorable location, prices for accommodations here are fair. The rates for a double room range between £ 417 and £ 476, the ones for a suite are from £ 557 to £ 776 according to the season. 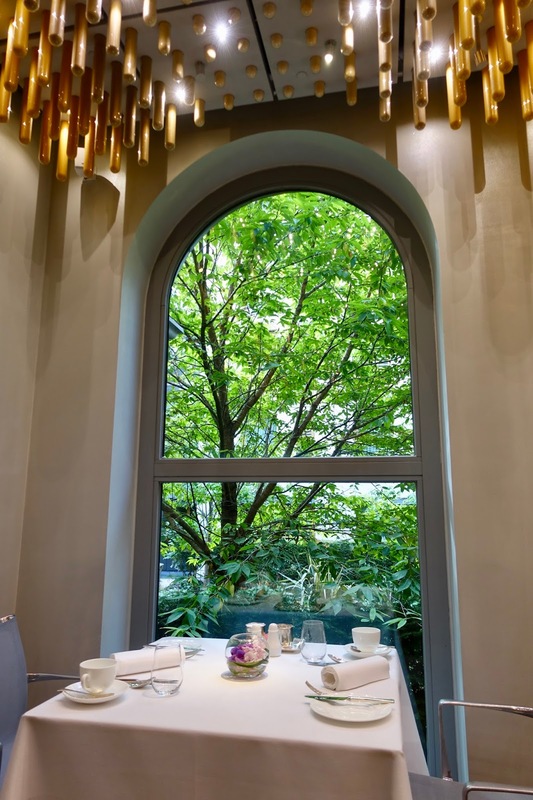 When you stay at The Halkin you can reach Texture in a bit more than 20 minutes by foot or about 10 minutes by bus (bus station is just around the corner). 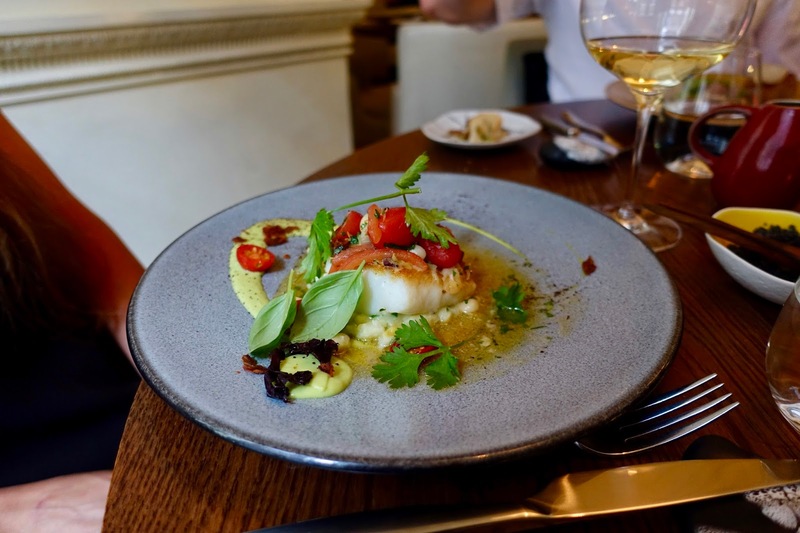 The restaurant is located in Marylebone, less than 5 minutes away form the Marble Arch Tube Station and a block away from busy Oxford Street. It is housed in a converted Georgian townhouse. A light-filled bar with an extensive champagne selection is at the front. If you like the French sparkling wine, go for it, it is worth sampling! When doing this, you will maybe also have the chance to taste the wonderful bacon popcorn on offer here. The dining area is stunning, a spacious Georgian room, vast and high ceilinged. The room is decorated in neutral colors and with some modern art. The furniture is comfortable and modern, what results in a nice balance between old and new. The chef, an Icelander named Aggi Sverrisson, has a modern European cooking style with heavy Scandinavian influences. His cooking is light and healthy with only a minimum of cream, butter and sugar. As often as possible he uses Icelandic products, above all skyr, which is similar to Greek yoghurt. We even got a sample of it after our dinner to take home. The chef knows how to do expertly crafted dishes but without undermining the central position of the main ingredient. 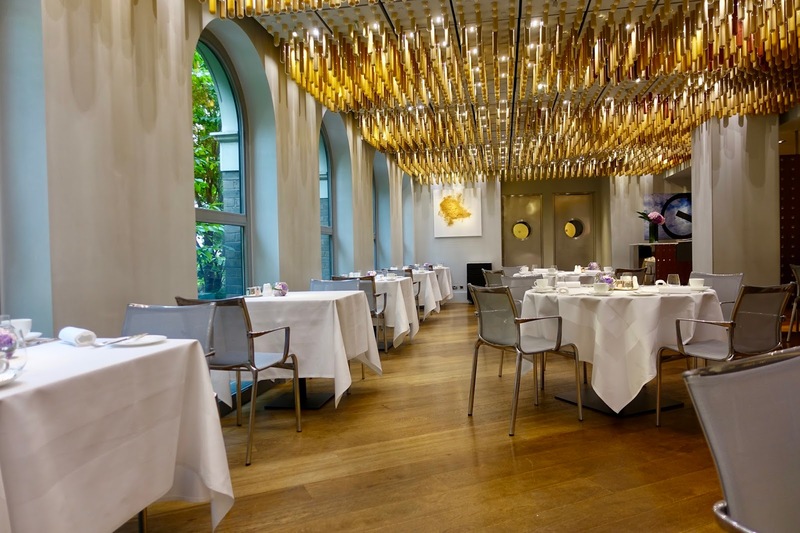 The restaurant, established in 2007 and awarded a Michelin star in 2010, offers different menus as well as an a la carte option. This time, the four of us ordered dishes from the a la carte menu, which offers enough choice without being too extensive. 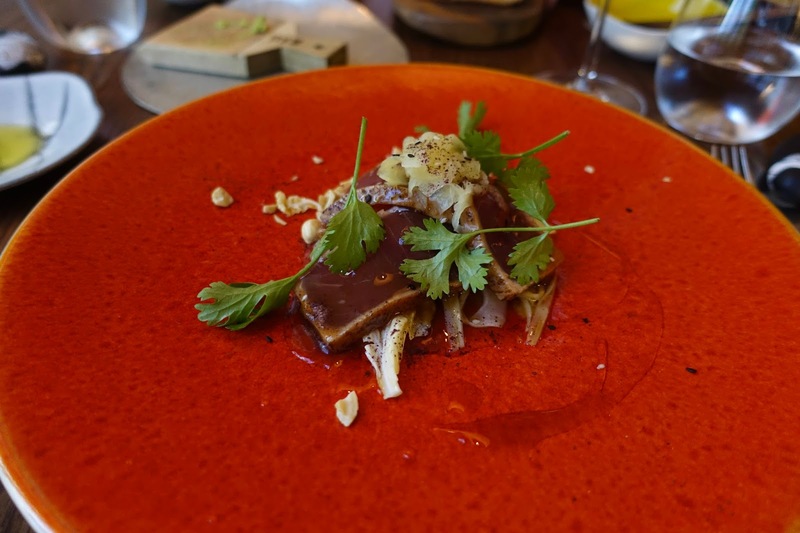 A great starter was the yellow fin tuna, prepared with ginger, soy, fennel and coriander. The fish, prepared to perfection, had a delicate flavor and was tenderly melting. Together with the garnishes, which suited just fine, it resulted in a great combination. 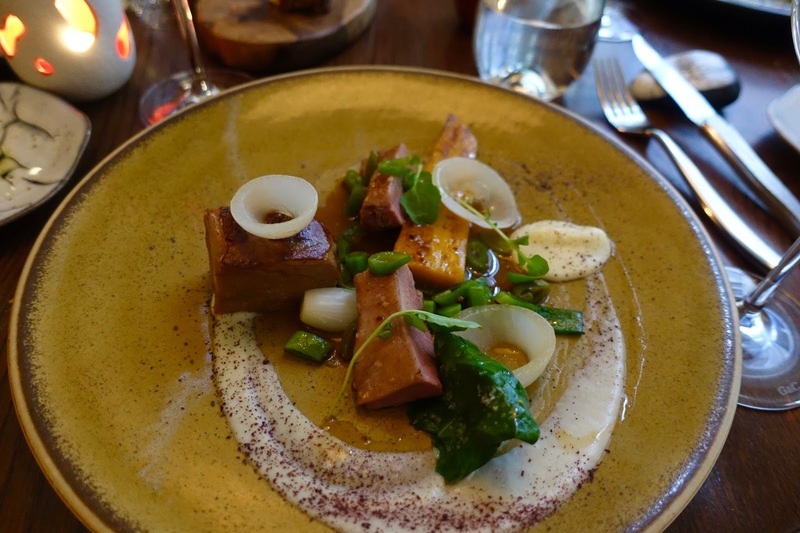 Out of the main courses, a memorable dish was the organic Icelandic lamb. Here the tender saddle and the succulent shoulder were paired and made together with the mild calcot onions and the aromatic heritage carrots a tasty creation. 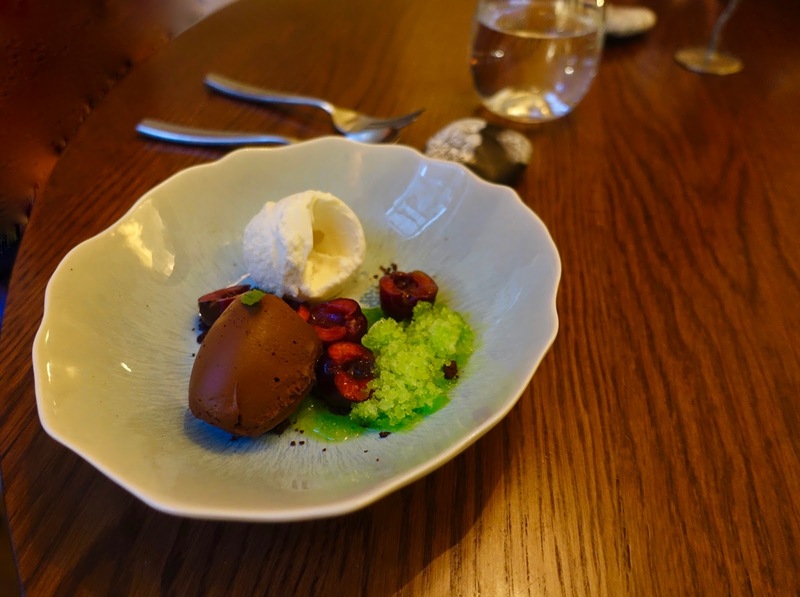 When it came to desserts, three out of four people of our table opted for the chef’s signature dessert, Icelandic skyr. And we were fully satisfied with it! 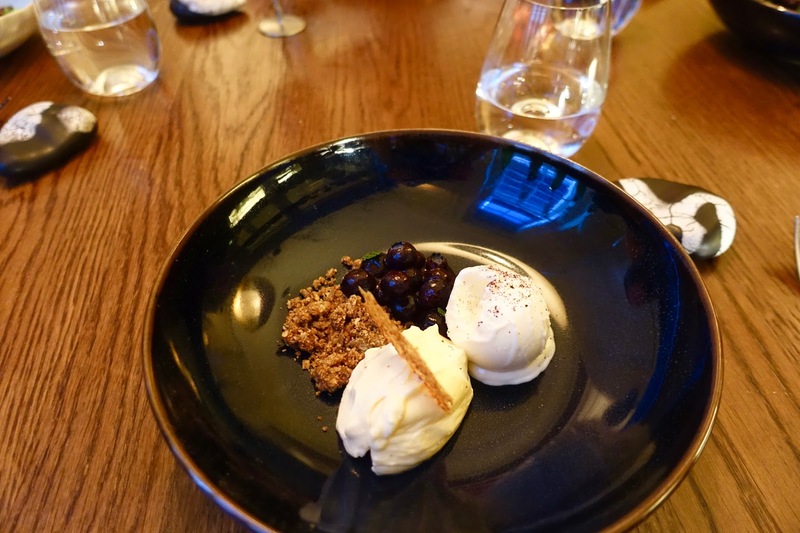 We got skyr (similar to Greek yoghurt) as mousse and ice cream, flavored with vanilla and combined with rye bread crumbs and Wye Valley blueberries, an irresistible composition! Service is friendly and attentive without being intrusive. We felt comfortable and well looked after during the whole evening. And the pace of the service is just right. As far as the costs for dinner are concerned, it is well priced. The tasting menu is £ 95.00; starters are priced from £ 16.50 to £ 34.50 (langoustines) and mains from £ 29.90 to £ 43.50. Desserts are available for £ 13.50 each. 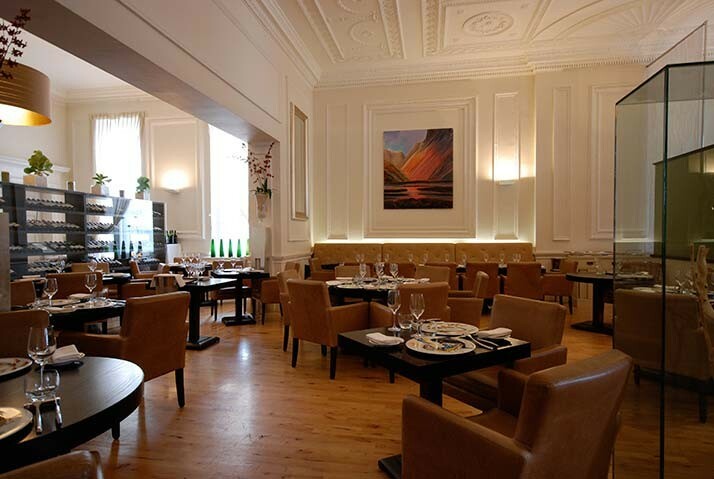 A good deal is the sample lunch menu where you get 2 courses for £ 29.00 and 3 for £ 33.50.